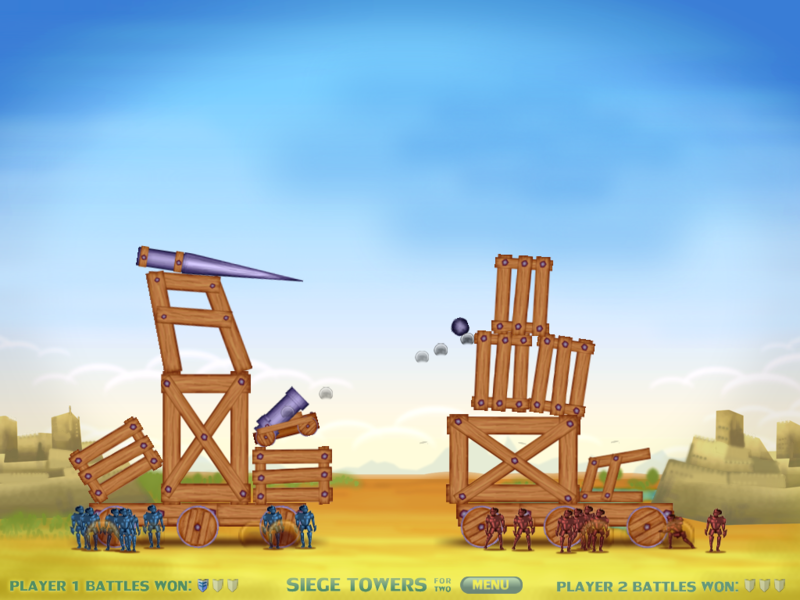 Step into the medieval battle and build the higher Siege Tower to take over the enemy castle! In this fast and fun game made for two players sharing an iPad or Android tablet, your task sounds simple: drag the wood, spikes and cannons onto your wheeled base platform so that you'll end up constructing the higher tower. 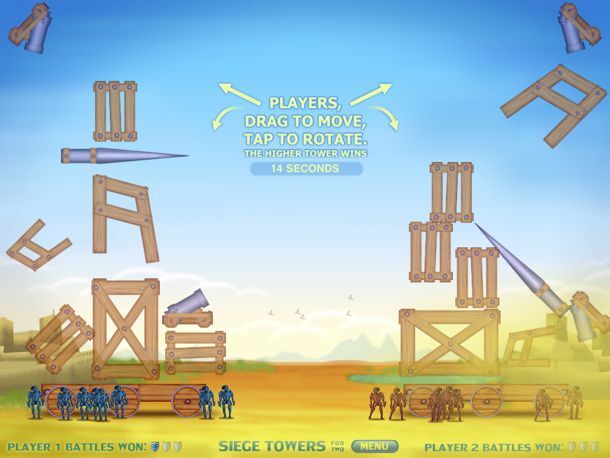 There's only three things in your way to an easy win: gravity, a ticking clock... and the other player, who is trying to build an even higher tower and whose cannons are directed at you! Over 300,000 downloads worldwide... thanks everyone! In an infinite, shared world of abundance, we create new things by drawing them, build new places of any kind, hang out and chat, throw around stuff, shape our own appearances, collect what we like and provide what's needed, make music, party, go swim, enjoy, jump n' run, take care of the world, do sports, come up with puzzles, explore... and have a lot of fun together in ways none of us can predict. 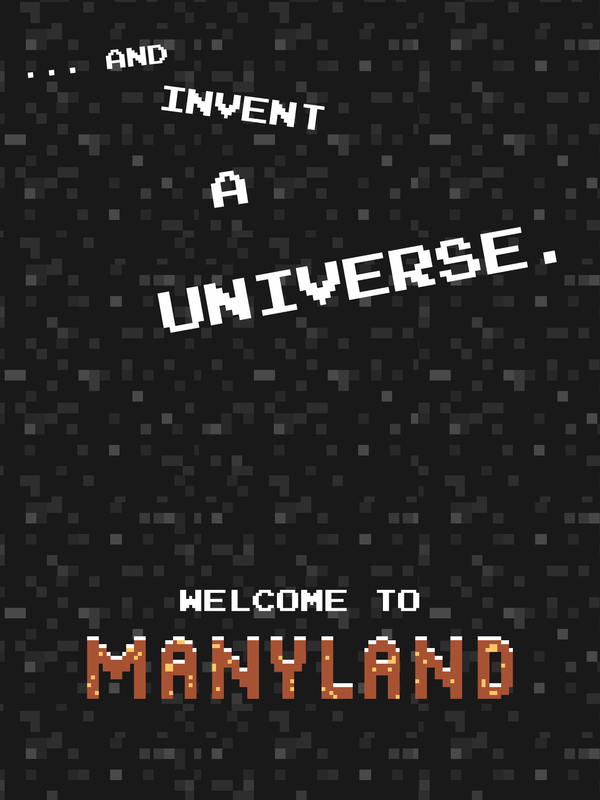 Manyland by Scott Lowe & Philipp Lenssen, with world creation by all of you! 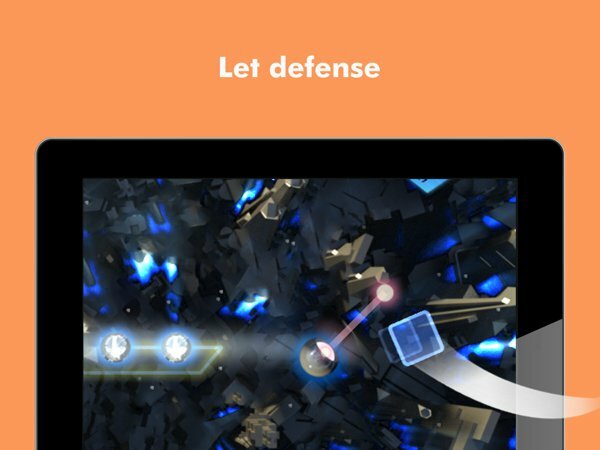 Let defense be your attack! An infinite convoy of drones keeps the population at bay... subvert the system by turning the authority's guardian tower against the drones using reflectors, chargers, portals, magnetic fields and more! In this minimalist strategic defender, the geometry of your choices defines the outcome. How many waves can you sustain? 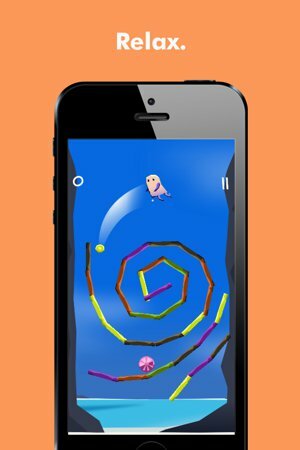 Swipe to throw and clear all bars of the same color in this never-ending game of Beeps. What's your score? 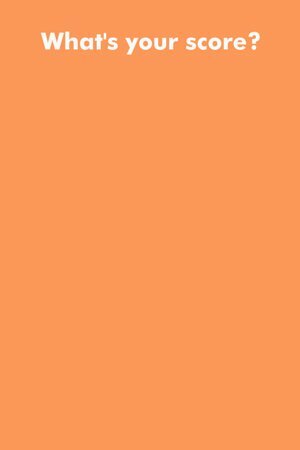 Music by Kevin MacLeod (full sound credits). 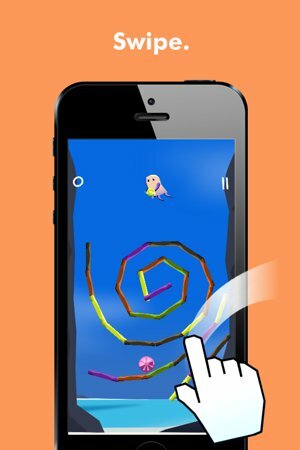 This iPhone and iPad game is so fast, it has a slow-motion feature just so you see what you're doing! 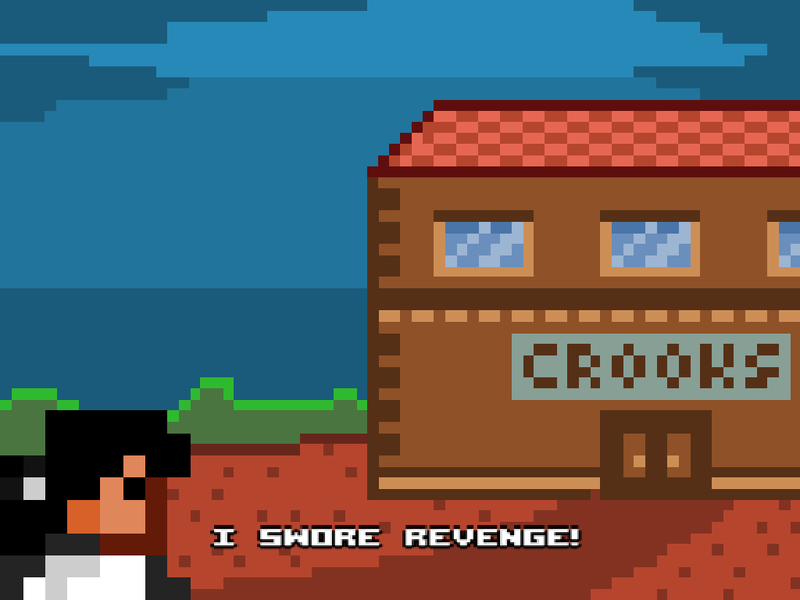 Meet Karate Girl, out for revenge against those who stole her father's Humpterdink sword. Frantically steer her through the crook's mansion with the goal to destroy as many valuables as possible, forcing Czar Memphris to give you back the sword. 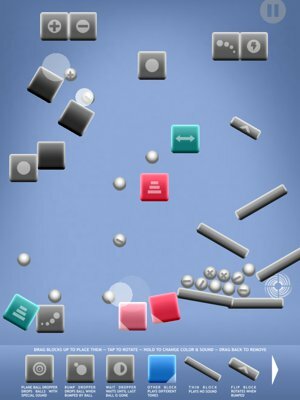 Extend your time by fully clearing a room, and try to push the score to new heights. 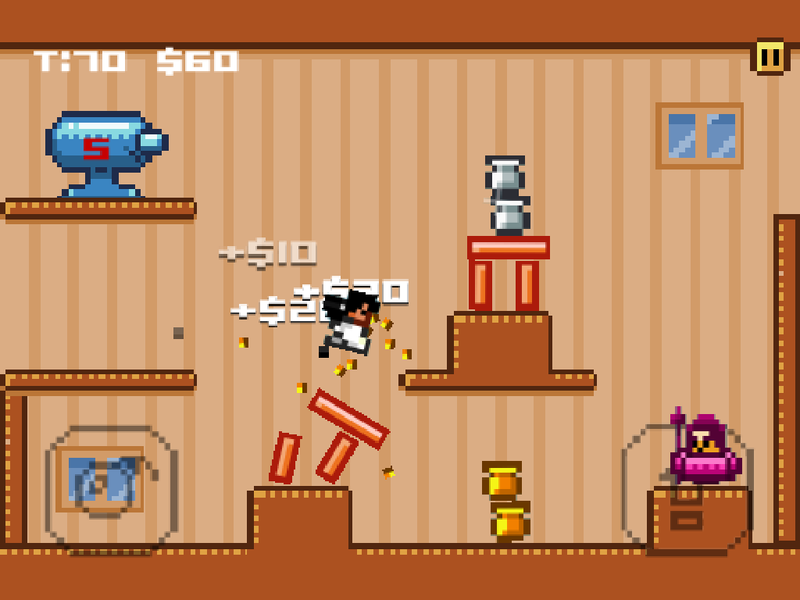 This Jump 'n' Destroy game has endlessly generated rooms, so no two runs will ever be the same! 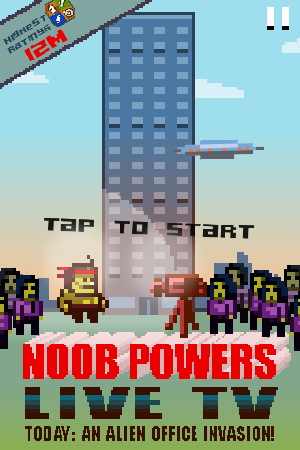 When Noob Powers saves the world, he does it on live TV -- and you'll hear a commentary of all your actions! 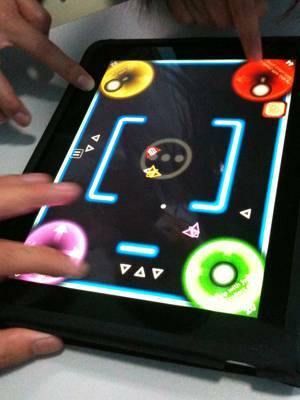 Enter this frantic run & punch game with a super-easy one-tap control, and randomly generated levels for endless fun! 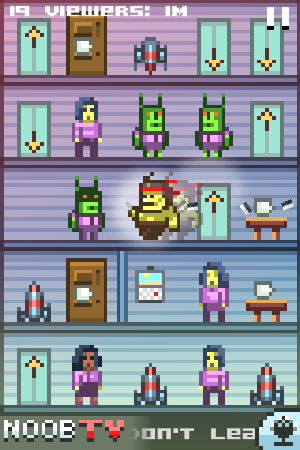 Aliens have invaded office buildings and make people work overtime, cut coffee breaks, and give unreasonably tight project deadlines. 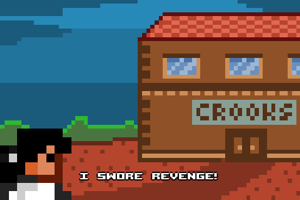 Noob Powers, mixed martial arts superstar, is back in action for the job, and as always he's followed by a TV commenter and huge home audience! 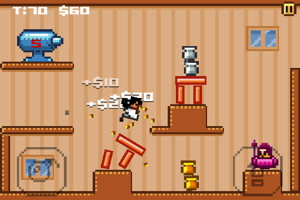 Fight your way up floor after floor as NoobTV discusses your every move, and see your viewer ratings go up and down in real time! Get creative in this relaxing toy and casually build machines driven by gravity, and full of color and sound. 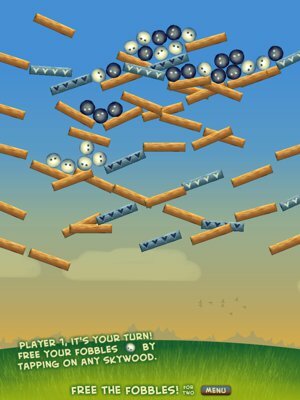 Just drag one of the many different colorful blocks into the path of the balls dropping in from above, and you'll hear a sound when the two touch. 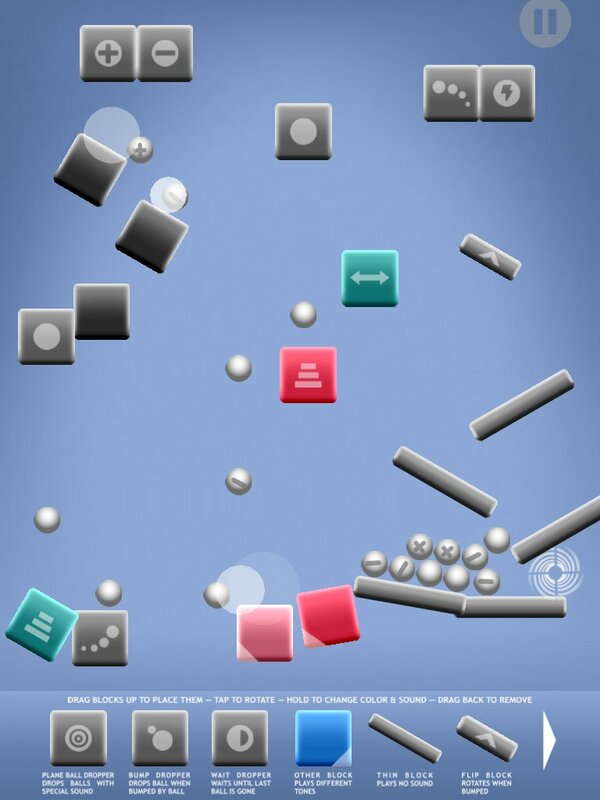 Explore using flip blocks, moving blocks, swirls, thin blocks, plane tunnels, bouncers, change balls and much more to create endlessly varied machines to inspire, entertain and surprise you! 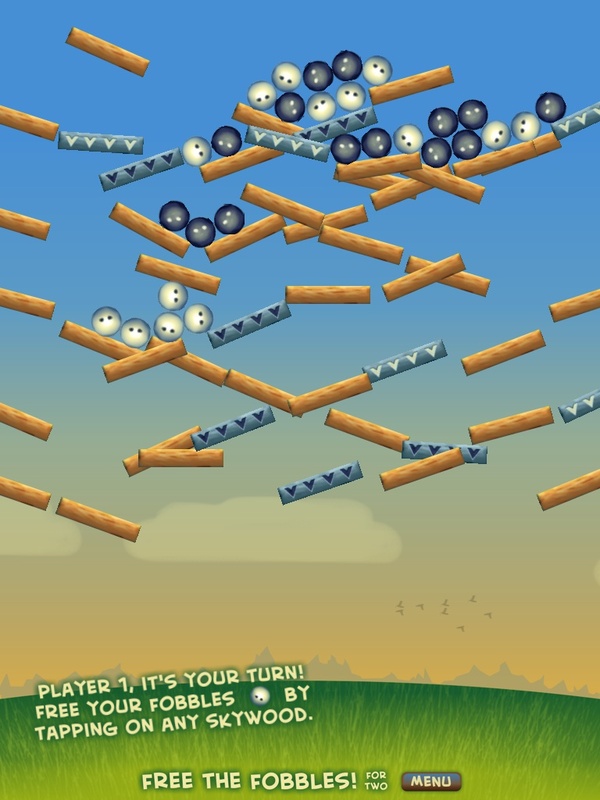 Welcome to Fobbleland, where the Fobbles got stuck high up in the air while felling skywood. Scared and shivering despite the sunny weather, they now need your help! 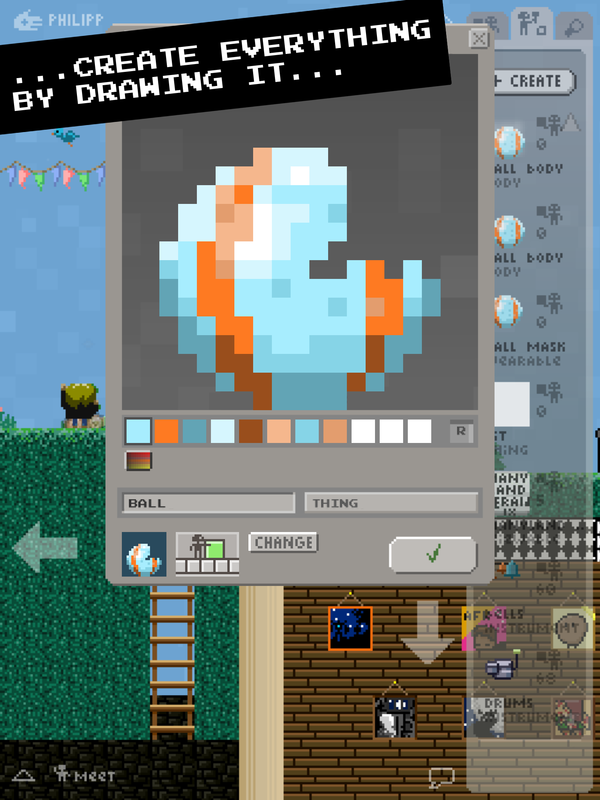 Destroy a skywood by tapping on it, and make all your Fobbles safely land down on the grass. 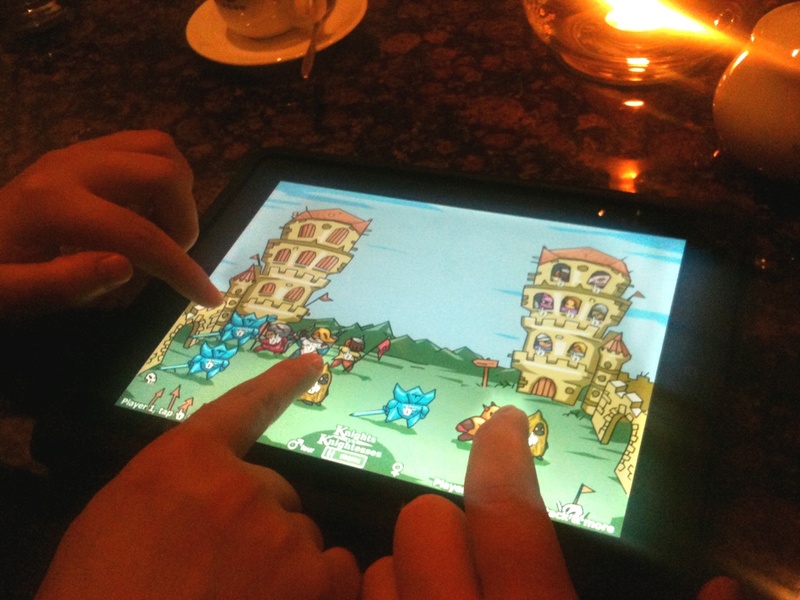 You and your friend take take turns in this game especially made for two, and especially made for the iPad. 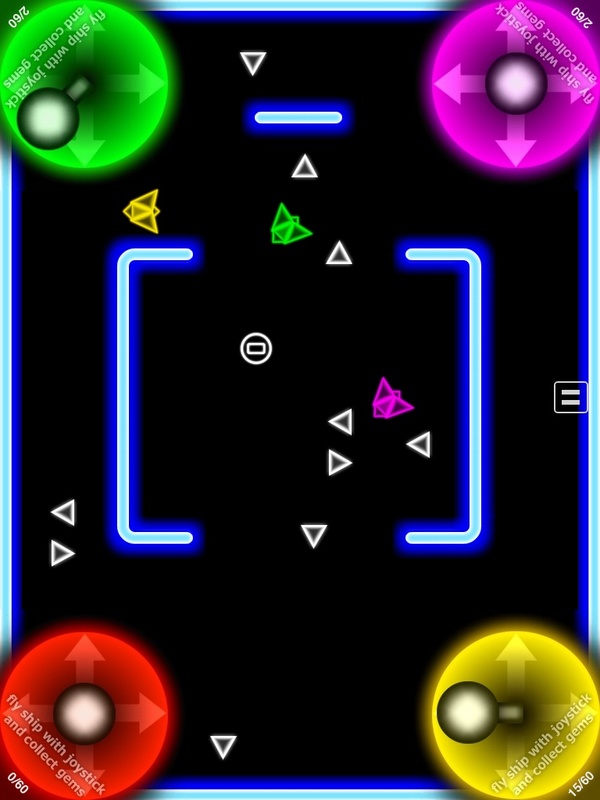 The first player to free all of their Fobbles wins. 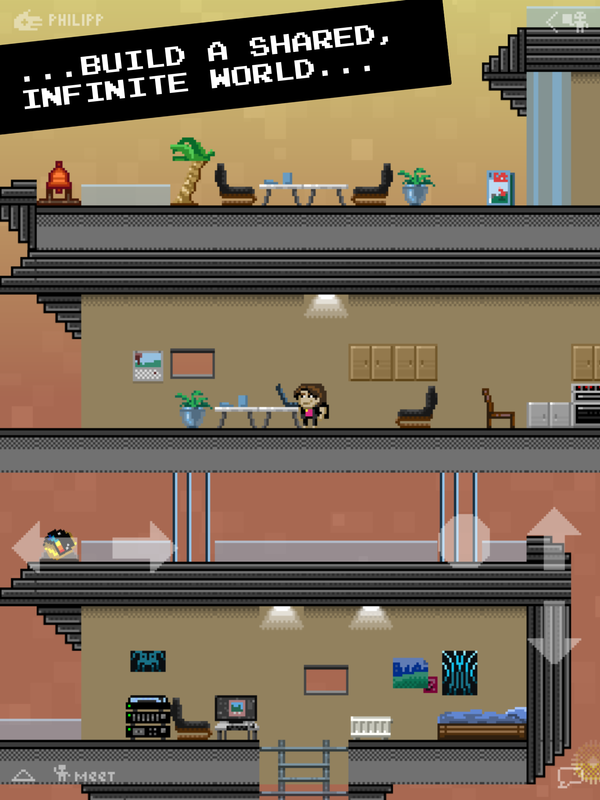 Levels are generated randomly for endless variations! 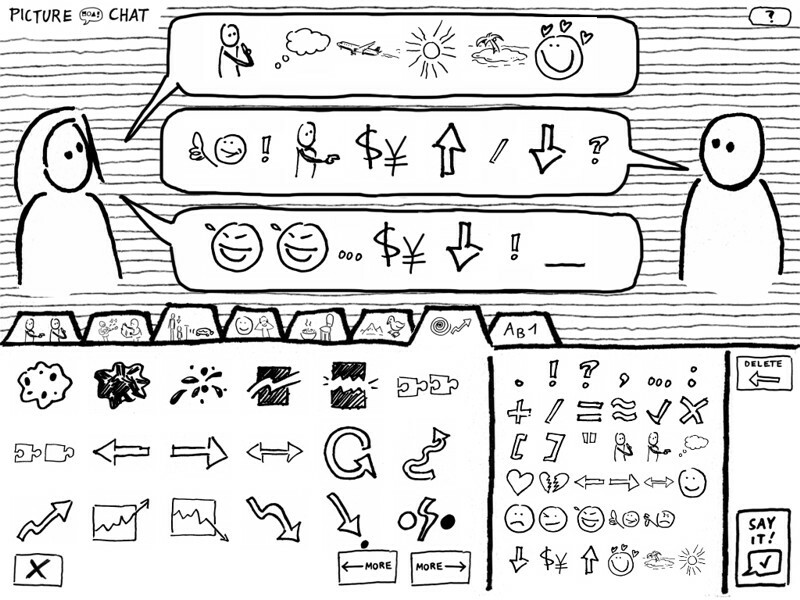 Many other picture combinations would be possible too -- there is no "right" or "wrong" to express something in Picture Chat! 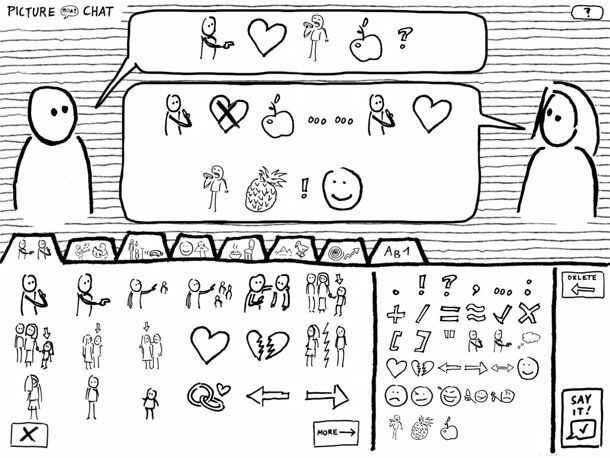 Picture Chat triggers a creative, novel way to talk. Sometimes the visuals will help you get straight to the point... at other times, their ambiguity (and figuring out just what the other one truly means) is half the fun! Spikeball is a fun action game made for two players on a single shared iPad. 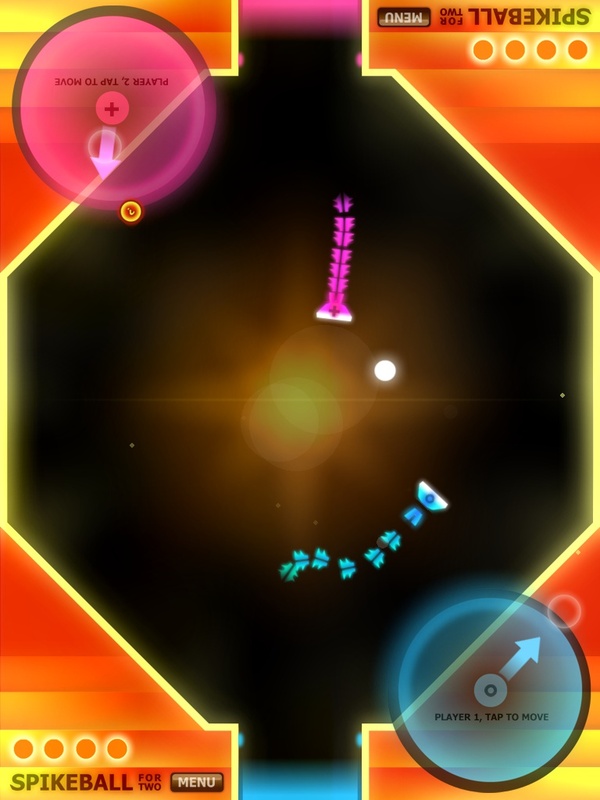 Your goal is to steer your spiketail using the colored control circle to push the lightball into the opposing goal. 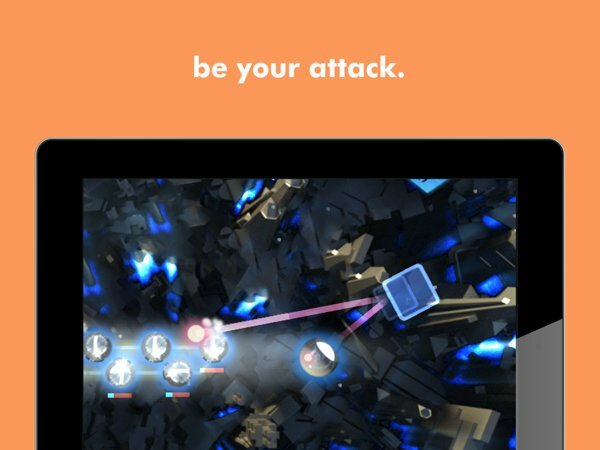 The further your finger taps away from the center of the control circle, the faster your spiketail will move... but be careful, because when you collide with the spiked tail of your opposing player, you'll be poisoned for a while and inable to move! 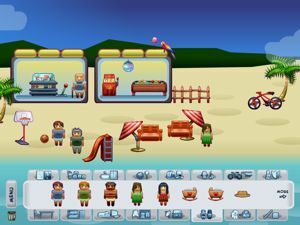 Over 20 different extra pills appear throughout the game; eat them (or wait for them to auto-activate) and a special extra round will start. 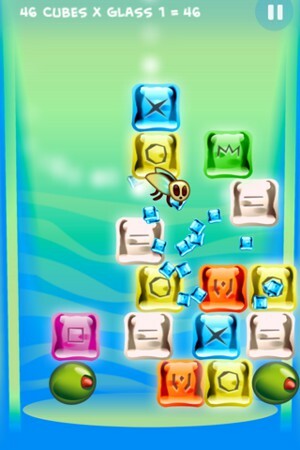 Extras include icy grounds that make it harder to steer, diamond hunts where the player who collects more will score a goal point, invisibility which will make your spiketail much harder to see, and many more! 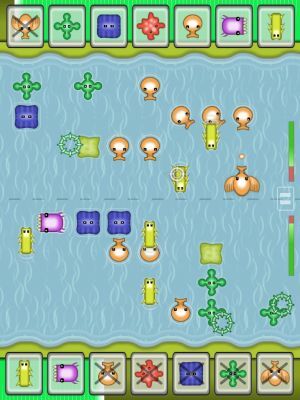 In this fast-paced strategic action game for the iPad, you and a friend sitting next to you each control an island shore with a set of creatures called Ogs. Drop them in the water with a single tap of your finger, then hope they'll reach the opposing shore of your friend, and make use of each of the Ogs' different skills like shooting, blocking, ring-making or flying. 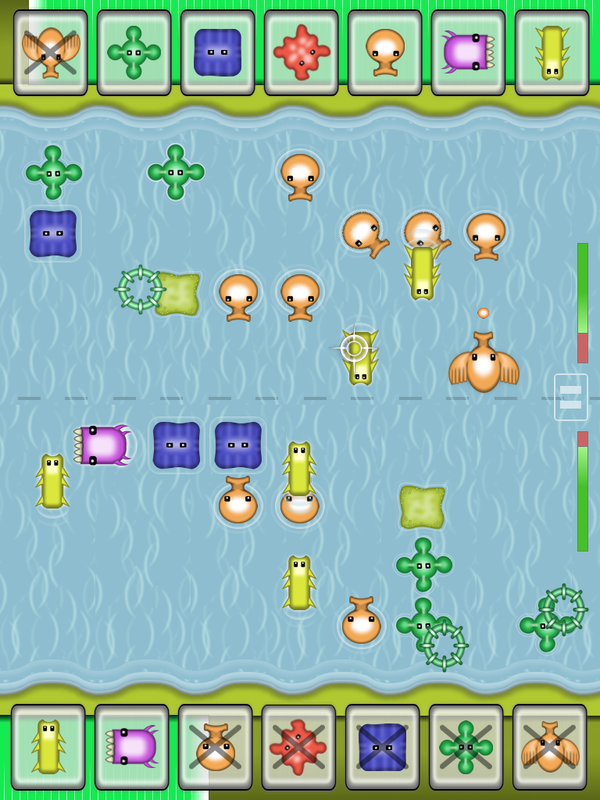 Just don't let your own shore be undefended, as your opponent will try to conquer your island at the same time! Create the place of your dreams... with full dragging freedom if you want to play out your stories within it! Imagine having a house, ship, or island... then selecting from hundreds of items to fill it through simple tap-movement! 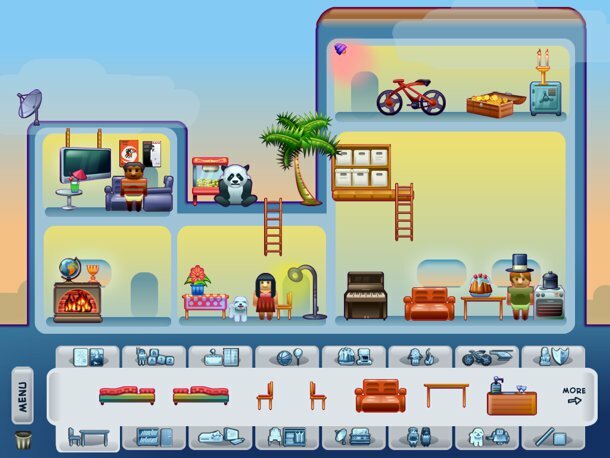 From giant TVs, antiques, food, plants, people & pets, to toys, a pool table, furniture, trampolines, ladders, hot tubs, kitchen utensils, gadgets, mystery items and much, much more. Want to create your dream house? Or a jungle adventure? A sunny family vacation? A futuristic kitchen? A great piece of architecture using the free-style building blocks? Or anything else? In this relaxing mix between toy, creativity app and game, there's no limit to how you can combine things... or which stories you want to tell on your virtual playground! Dream Place is strictly for people age 1 to 200. No unicorns were harmed in making this app, and all robot servants participate voluntarily. Have fun! 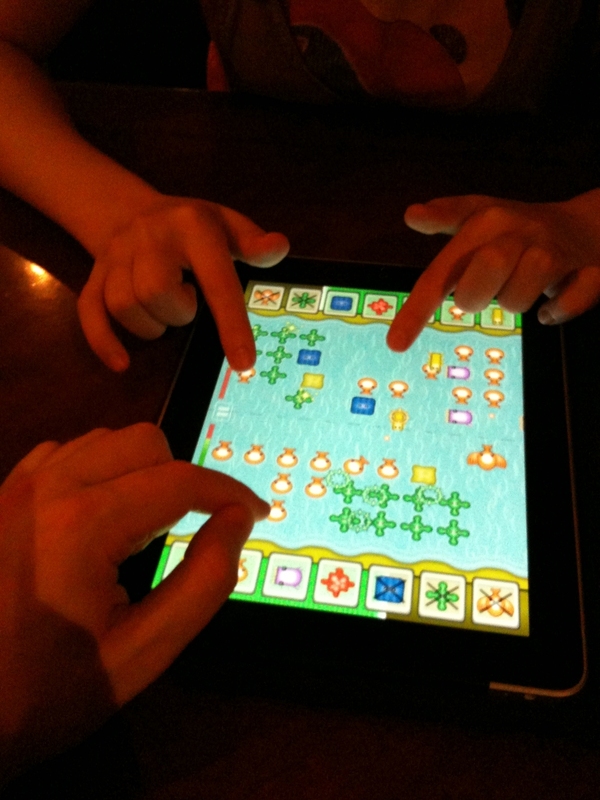 In this fun strategy game especially made for two players, you will sit across your opponent playing on a single iPad. 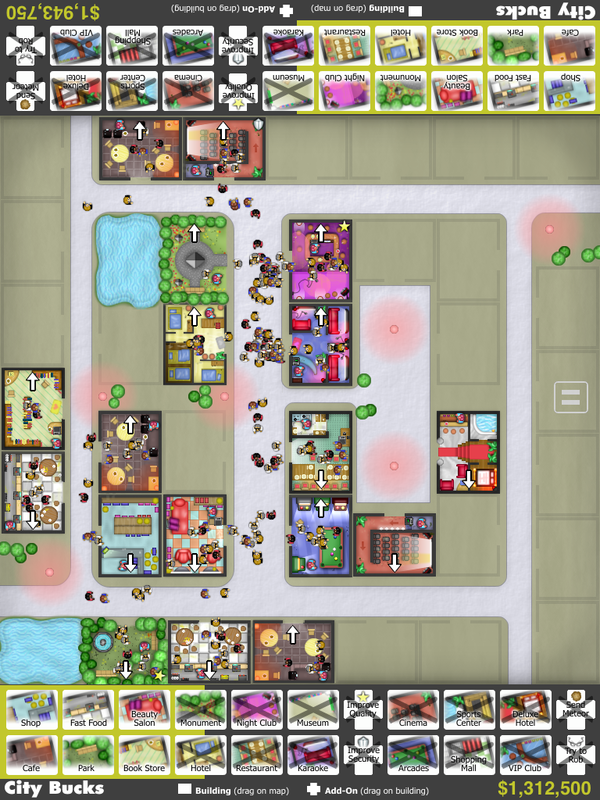 Both of you will build shops, cafes, bars, cinemas, museums and many other locations by dragging them onto the city map. 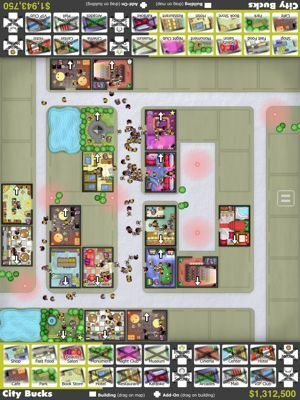 Your goal: lure as many citizens as possible into your buildings through strategic building choices and placement, then start earning big cash from your customers to build even more and better buildings! But don't forget to secure your buildings... or you might find them burn down to ashes thanks to monsters, meteors and other types of dangers awaiting you in big city life. 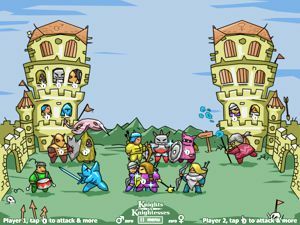 Knights vs Knightesses is a fun, real-time action battle game for two players. 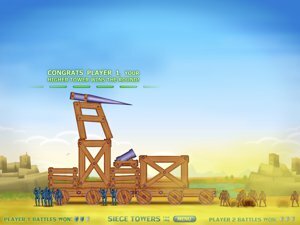 Played on a single shared iPad, you and your friend play a female or male medieval army and try to conquer the opposing village. (Ever since the Grey Goose incident, the male and female members of Fordunian society live in separation!) 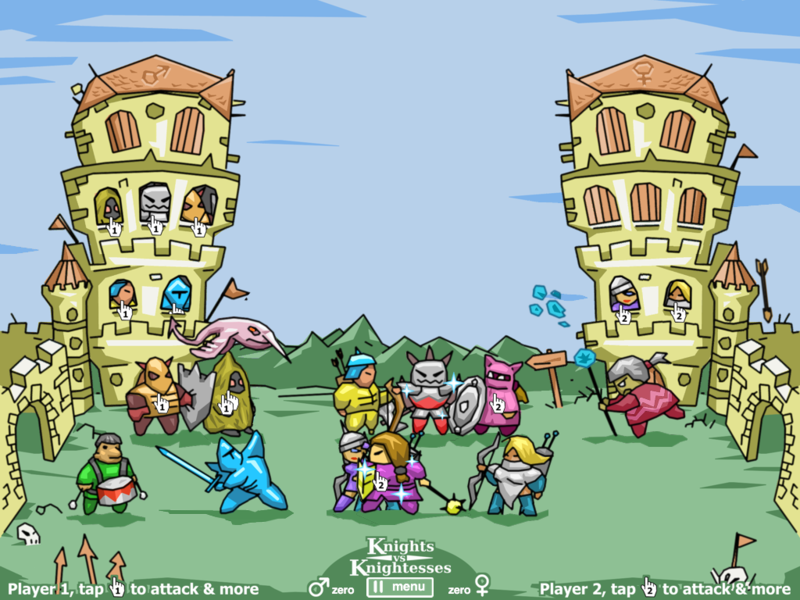 Strategic placement of soldiers like the Knight and Knightess, Berserker, Wizard, Archer and Unibird will be crucial to your win -- as will be a quick tapping finger to perform your battle attacks! Just put your finger on the action icon when it appears over your warriors, and you'll be able to trigger sword slashes, arrow shots, magic attacks, hold up a shield, or roll the drum to motivate your team. But keep your cool, or the opposing gender will enter your village, and then it's "Makra'r Bakk" for you (this Fordunian proverb roughly translates to "scrambled eggs in a broken pan", but be careful how and where you use it). 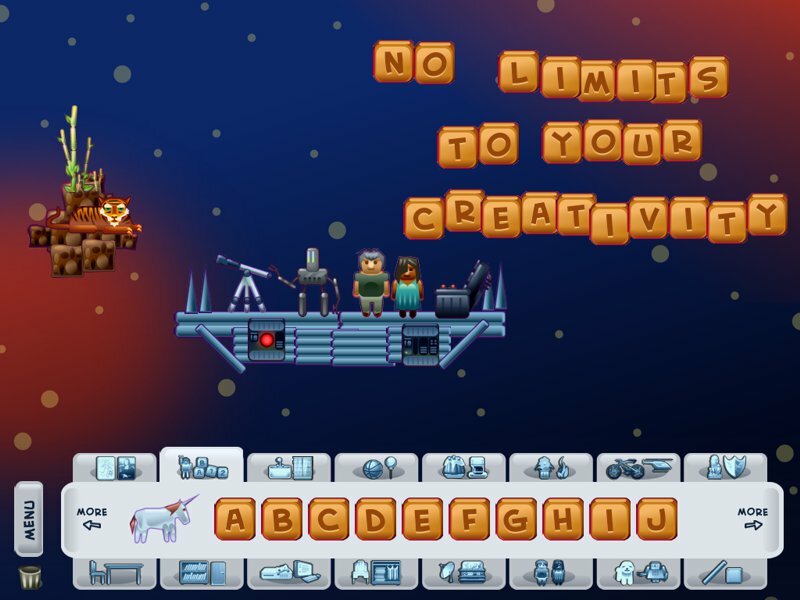 The Roswell Game is a fast-paced, fun 2 to 4 player action game where you sit next to your friends around a single iPad, steering your space ships to collect gems and extras. Legend has it that this game was discovered by NASA inside the remainders of a crashed UFO in Roswell in 1947. 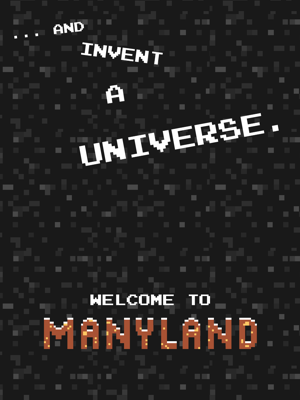 It is popular all around the galaxy, but for decades human civilization did not have the technology to reproduce The Roswell Game on other machines – so it was only played in a secret laboratory inside the NASA, and later the NSA. 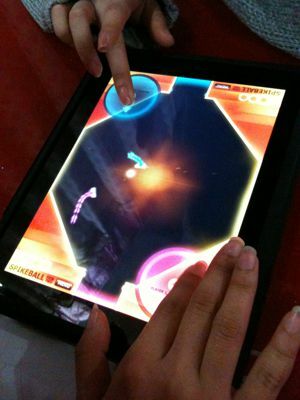 In 2010 when the iPad came along, design documents of the game leaked to a German developer living in China who then set out to produce the game. 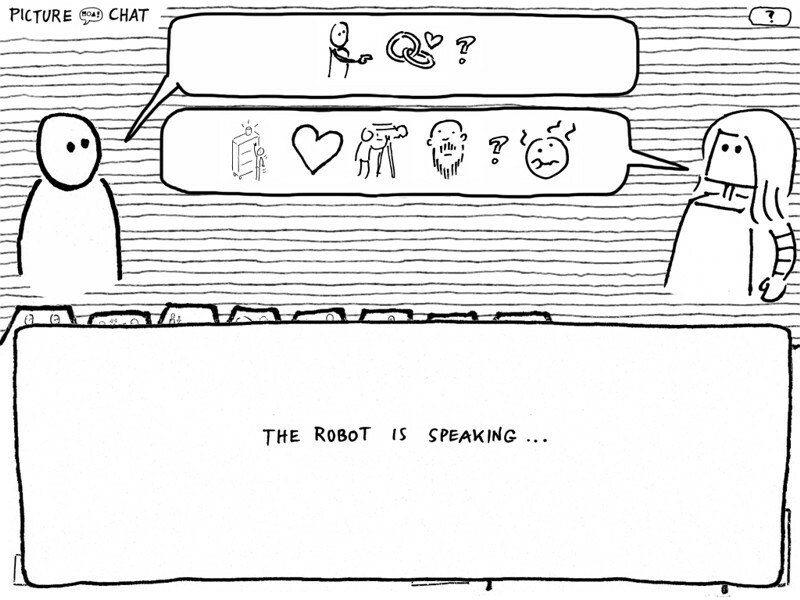 Behaviorix is a fun and insightful evening and party game for 2 to 5 people. 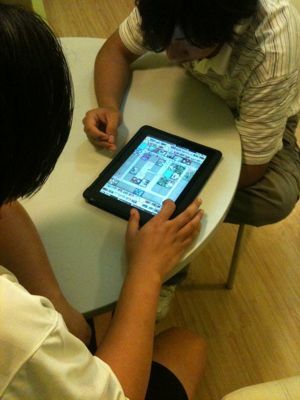 Played on a single iPad, players get asked questions like the following: "You win a large amount of money in the lottery. What do you do with the money?" – "The telephone rings at 2 in the night. Do you answer it?" – "You're invited to speak in front of a group of 100 local strangers. You can pick any topic you like. What will your speech be about?" 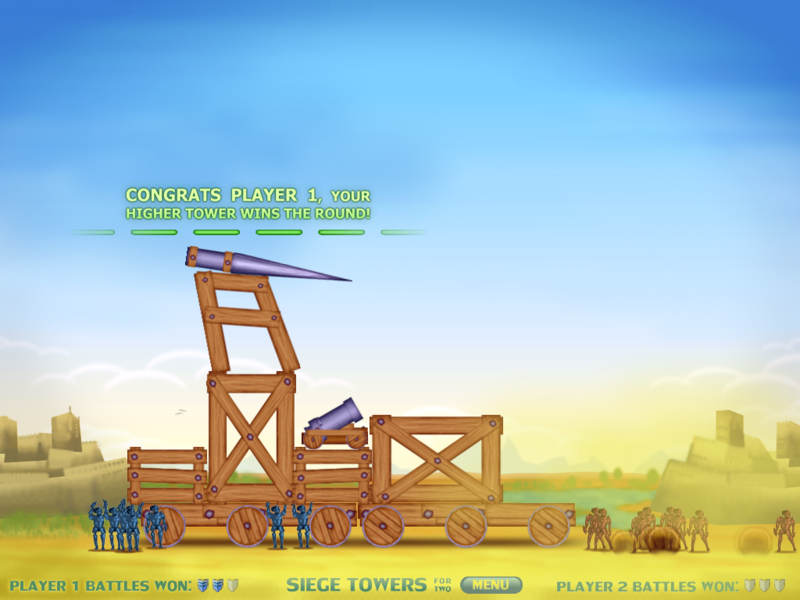 – "You become king of a small village. You may define exactly three rules for living together. What will your three rules be?" 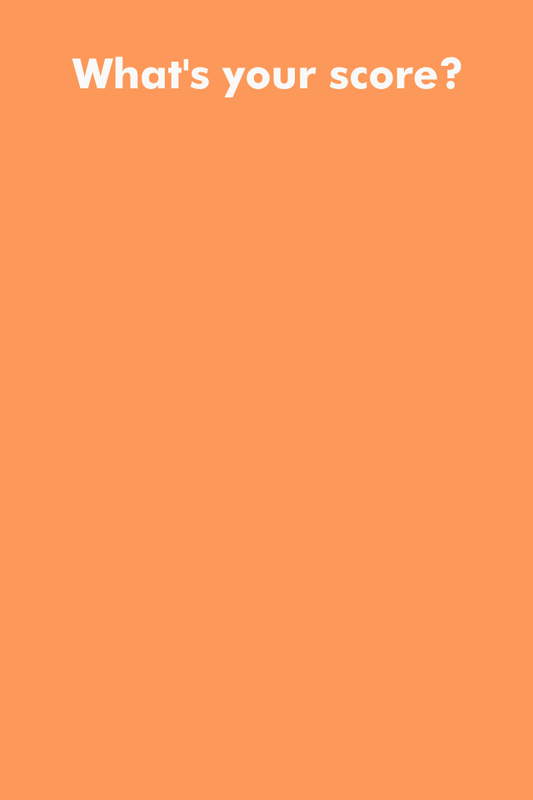 For every answer to one of the over 600 questions, other players get to vote on either how humorous, honest, or enlightening your answer was to them. 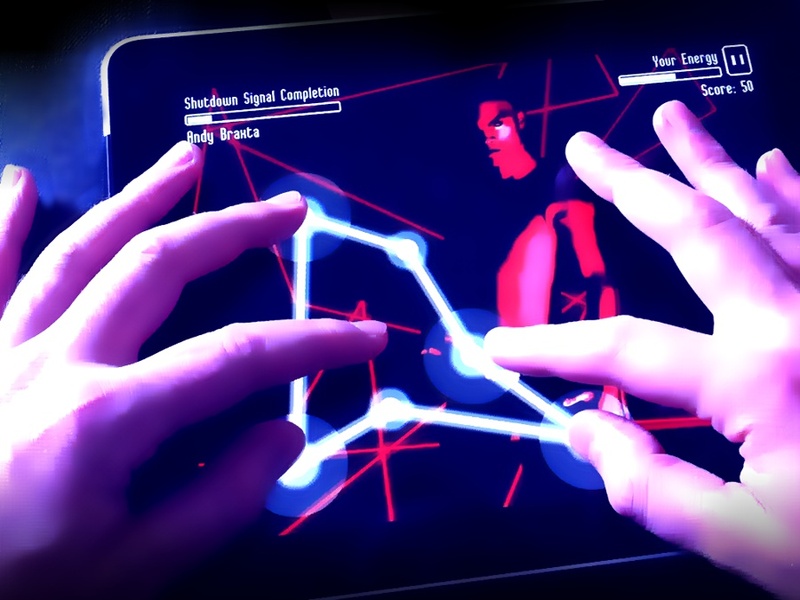 Behaviorix is available in English and Chinese. Ask yourself... what would you do? 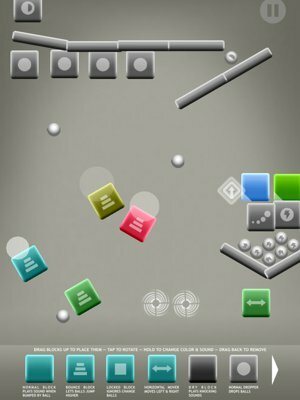 In this game you use both your hands in a novel way: try to touch all the displayed points on the screen at the same time, as fast as possible! In the near future, most of humanity uses digital brain enhancements -- implants and extensions which improve memory, knowledge, reflexes, hearing, sight and skills. As a watcher and critic of the technology you are investigating a series of recent mystery deaths among Enhanced People. Breaking into the Enhanced Products Headquarters you find something that blows your mind: a book titled The Signal details a series of hand gesture instructions which trigger an immediate maintenance mode among Enhanced People -- effectively, a temporary or permanent brain freeze. 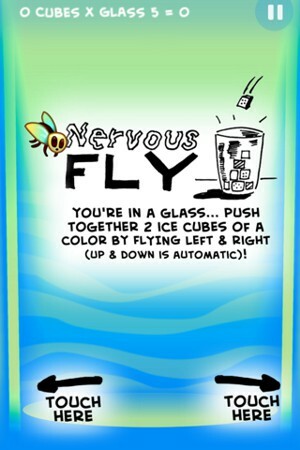 Nervous fly is nervous. Very nervous. Living in a glass slowly filling with colorful ice cubes thrown in from above, you can fly to the left and right – but you can't control up and down movement. Your goal? 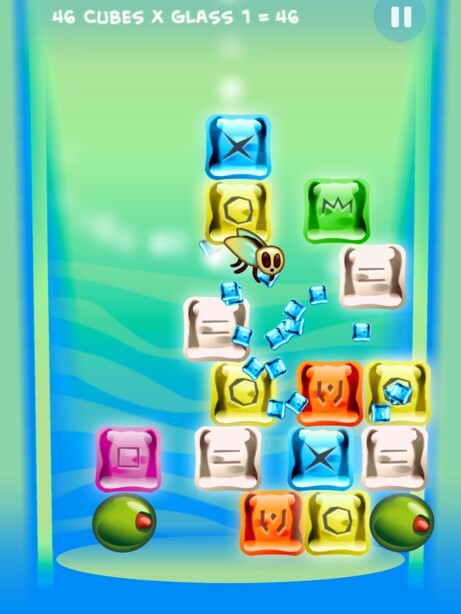 Crush as much ice as possible by pushing together two cubes of a color. 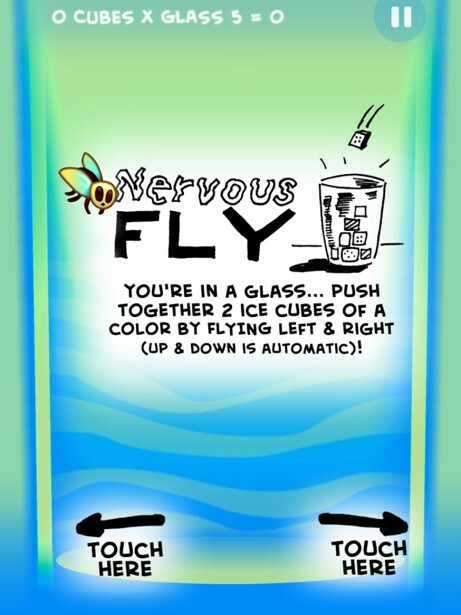 As you win new glasses, the score multiplier goes up, and perhaps one day... nervous fly can relax! Nervous Fly is a Universal app that runs on your iPhone (including Retina display), iPod Touch and iPad! A casual yet addictive game, ideal to be picked up anywhere you got a free hand and a minute or two of time. Nervous Fly music by Tchaikovsky & the great Kevin MacLeod! 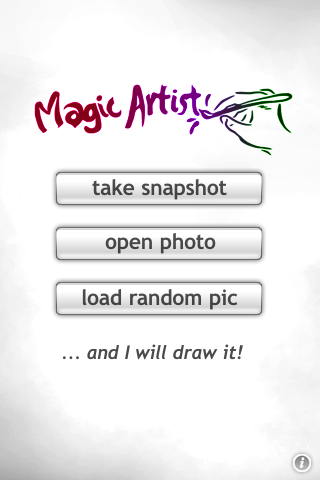 Snap a photo or load any picture from your album... and see it being painted right before your eyes! 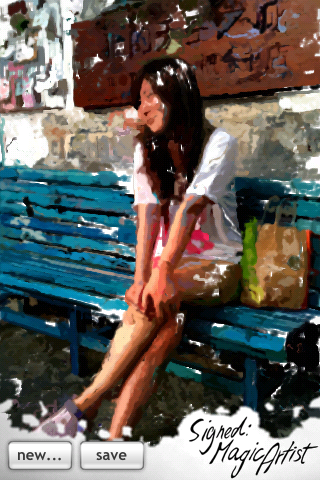 Surprise friends and surprise yourself, and save the resulting images you like best. 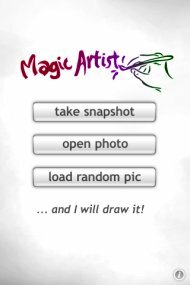 With Magic Artist, no two results will look the same, and you can see stroke by stroke being drawn onto the canvas. Magic Artist iPhone programming by Mike Dougherty. 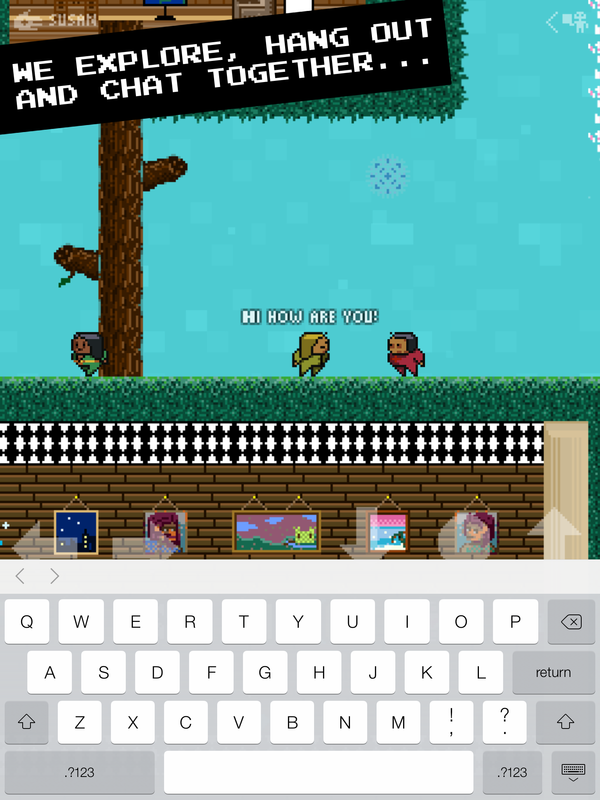 Thanks to everyone who plays, tests, reviews, helps with, spreads the word about, and supports the games! 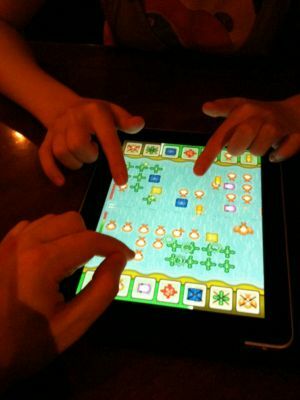 Thanks to Suzhou Bookworm cafe, Gareth & Pub Bar staff at Shiquan Road, Cheers, the Maid Cafes, K.O.I. cafe, Zhu Zigui & NagranD friends, Uclue, Joyce, Zhou Li, Kattie Fang, Helen, Belle, Candy, Tom & friends, FreeSound.org, StackOverflow, iPad makers, Audacity, PhoneGap, Carlos & Corona.